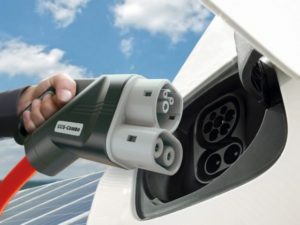 Wales is to get a network of rapid charging points along its trunk road network, part-funded by £2m from the Welsh Government, with the first locations to be decided by the summer. The network will include rapid and fast charging points along the trunk road network. Speaking at the Cynnal Cymru Car Futures Wales event in Cardiff, Julia Williams of the Welsh Government’s policy, transport and planning division, said the network will include 50kW rapid and 7kW fast chargers, with local authorities being asked to help identify locations which could bring business to communities. The funding will be split evenly over the next two financial years and is intended as a springboard to encourage private investment in the network, Williams added. Procurement could take place on a national basis, and work is underway to augment the network by adding points at sites owned by CADW and the government. Once complete, the network could fill a significant gap in the Welsh electric vehicle infrastructure. Although there are charging points across the country, most are 7kW or slower units, or Tesla-only chargers. There are no rapid chargers – which offer half-hour top-ups for longer journeys – between the M4 corridor in the south (which forms part of the EU’s TEN-T network) and A55 along the north coast. In turn, this makes it harder to get around without a combustion engine. Figures from the Department for Transport show 2,475 plug-in vehicles licensed in Wales as of the end of Q3 2017 – at 0.13% of all light-duty vehicles on the roads, that’s significantly lower than the 0.31% across the United Kingdom. “We’re scoping out the priorities for deploying them, and delivery options with a range of stakeholders,” Ken Skates the National Assembly’s Cabinet Secretary for Economy and Transport told delegates at Car Futures Wales. “A key priority will be installing near to the trunk road network. This has been the focus in terms of range anxiety and promotion of uptake.